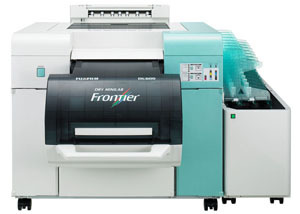 We operate one of the latest types of "Dry-Labs" the Fujifilm DL600. We have gained a reputation regarding the constancy of our printing, we constantly monitor the quality of the finished prints to maintain that reputation. We can provide either an Express Service or Next Day for most of our printing services. Photo Processing...35mm Develop & Print. 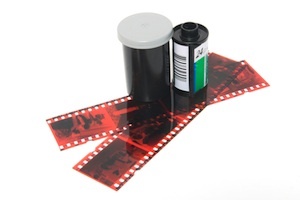 We can still accept 35mm films for processing, the turn-around time can be variable as we have to sub-contract the C41 process to another site. Once the film has been developed, we can then print from the negatives on site. Many people have commented about the improvement in quality from their negatives since we have had the new processor. Each individual negative is assessed by eye and adjusted to obtain the best density. Originally this was carried out by the machine, although it was very quick at doing its job, some-times it would make a wrong exposure. We can still offer a reprint and enlargement service from your 35mm negatives, printing sizes from 6x4 to 12x18, please ask for further details. For DSLR, the sizes are, 6x4, 5x7.5, 6x9, 8x12, 12x18. We can produce print sizes from 6x4 to 8x12 in Glossy or Lustre finish. We use only Lustre for the 12 inch size prints.